JLM Turbo Cleaner is one of the best turbo cleaners available on the market today. It is economical, extremely simple to use and removes dirt and soot very effectively. economical, extremely simple to use and removes dirt and soot very effectively. When you say turbo, you say: All systems go! And yes, that is definitely true. After all, a turbo has been developed to significantly increase the power of a petrol or diesel engine. But what to do, if that fine pacer underneath the bonnet gradually becomes polluted? This shortcoming quickly manifests itself, because a dirty turbo will result in loss of power, unnatural power build-up, increased full consumption or even an excessively smoking engine. When you cover many short distances, frequently find yourself in traffic jams and only slightly strain the turbo, it will not ‘burn clean’ properly. And that is something will become evident over time. For dirt and soot are a turbo’s greatest enemies, and because of exhaust fumes a turbo can become quite polluted. When a turbo is dirty, there is a risk of wear and, on top of that, the VGT turbine wheel (turbo compressor with variable geometry) may seize up. It cannot spin properly and thus no longer do its job as it should. Replacement is extremely expensive and often even unnecessary. 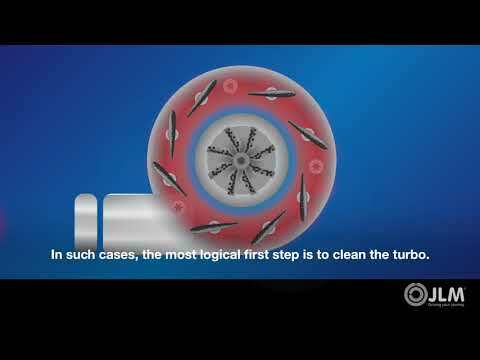 Thorough cleaning of the turbo – without disassembly(!) – is the most economical and logical next step. That next step is called JLM Turbo Cleaner. This proven JLM product works just as easy and straight-forward as its name suggests. 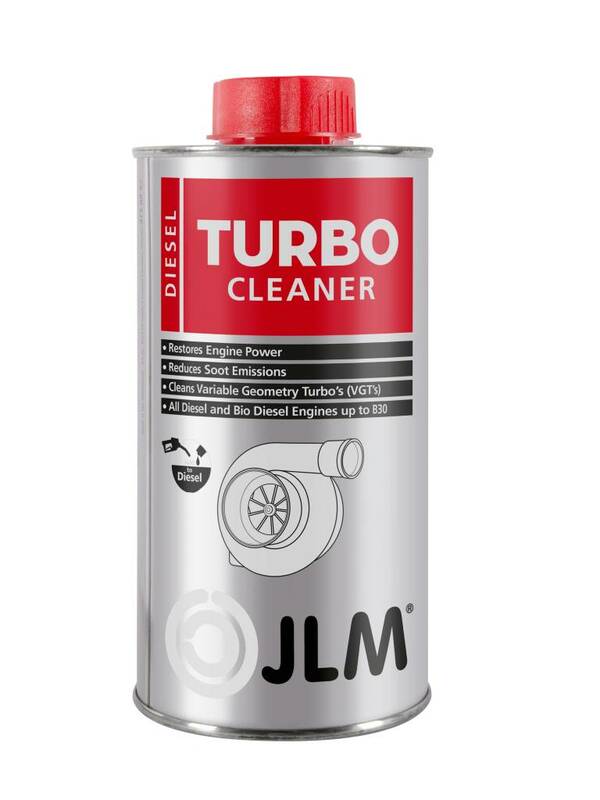 JLM Turbo Cleaner has been developed to restore engine performance, reduce soot emission and is suitable for all diesel engines. JLM Turbo Cleaner is very easy to use, the liquid can simply be added to the diesel in the fuel tank. And there you go: Quick and affordable turbo cleaning operation is now a fact of life. After using JLM Turbo Cleaner, dirt and soot are gone. The turbo can boost engine performance again and the air-fuel ratio is ideal. 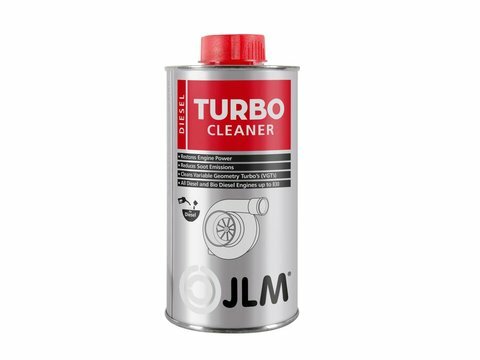 Immediately after JLM Turbo Cleaner has done its invisible job, you will notice while driving that the turbo is as new. In short, JLM Turbo Cleaner increases longevity, cleans the turbo and restores its original output.